As we ease into the holiday season, here are a couple of exciting Almaden Community Center holiday events coming up in the next couple of weeks. The Almaden Community Center is hosting its annual Breakfast with Santa event on Saturday December 8th. A special holiday breakfast will be served and guests can participate in seasonal arts and crafts. During the event, there will be a visit from Santa with opportunities to take pictures. This event is open to all people of all ages. Registration required. Make the holidays extra special for your child with this fun-filled holiday party that will transport them to the North Pole. 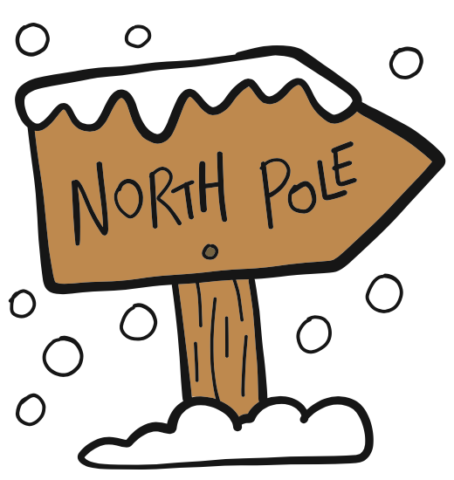 The North Pole Party includes food, singing, art, activities, and even a special gift from the North Pole. Bring your child and come see the Almaden Community Center transformed into a winter wonderland. The party is for ages 4 to 6 and takes place from 4:00 pm to 5:30 pm. Registration required. To find out more about these events and to register, go to the Almaden Community Center website or call the Almaden Community Center at (408) 268-1133.